Hives, also called urticaria, are a common skin condition that may be caused by many triggers. Some of the most common are animal dander, pollen, insect bites, medications, food allergies, reactions to stress, extremes in temperature and very heavy perspiration. Hives are swollen, itchy welts on the skin that can appear and disappear suddenly. They can sometimes burn or sting as well. They can also vary widely in shape and size, usually somewhere between a small dot and an area seven or eight inches across. If you put pressure on a hive, it will blanch, or turn white. Hives may appear on any part of the body and are usually on external skin, but they may be found on the tongue or in the throat. Typically, hives will last for a few hours and will be go away in a day or so. But other hives may form, so they often will not be completely resolved for several days. Acute hives is the term for the condition when the hives last for up to six weeks, and if they persist for more than six weeks, the disorder is known as chronic hives. 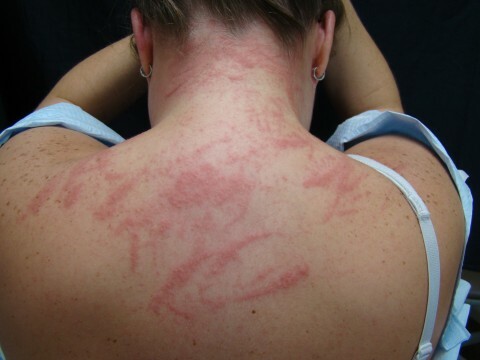 Certain people have a higher risk of developing hives than others. Those who have had hives previously or have a family history of hives are more likely to get the condition. Also, people who have experienced other allergic reactions or have particular illnesses, such as lupus or thyroid disease, are prone to hives as well. 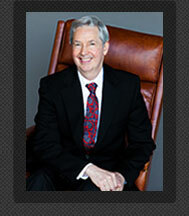 Dr. Kaminester can diagnose hives simply by examining the affected skin. Skin or blood tests may be ordered to try to determine what caused the hives to develop, although sometimes it is impossible to find out an exact reason. To prevent a worsening of the hives, you should bathe in lukewarm water and wear loose, comfortable clothing. Hives tend to be harmless and if the condition is mild, the hives may go away on their own with no treatment necessary. They can be relieved by applying calamine lotion or taking over-the-counter antihistamines if needed. If they are bothersome, Dr. Kaminester can prescribe stronger oral antihistamines to reduce both the swelling and itching. However, when the hives are more severe, oral medication may not be enough to provide relief. In extreme cases, a shot of epinephrine or steroids may be needed to effectively treat the hives, especially when they are affecting breathing. If you experience any major facial swelling, chest tightening or difficulty breathing or swallowing, seek medical help immediately.